CrazyTalk V8.1 official launches on September 5th! 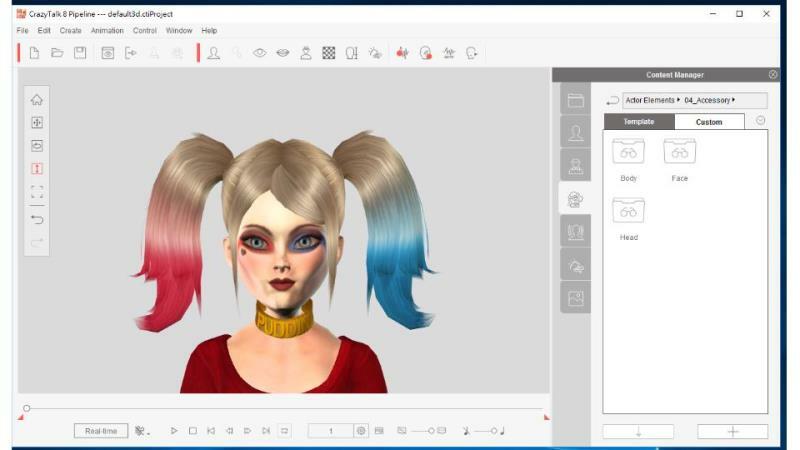 We are more than happy to announce that CrazyTalk has once again excelled itself and pushed the boundaries of fun of animation with the release of NEW version 8.1.2024.1. 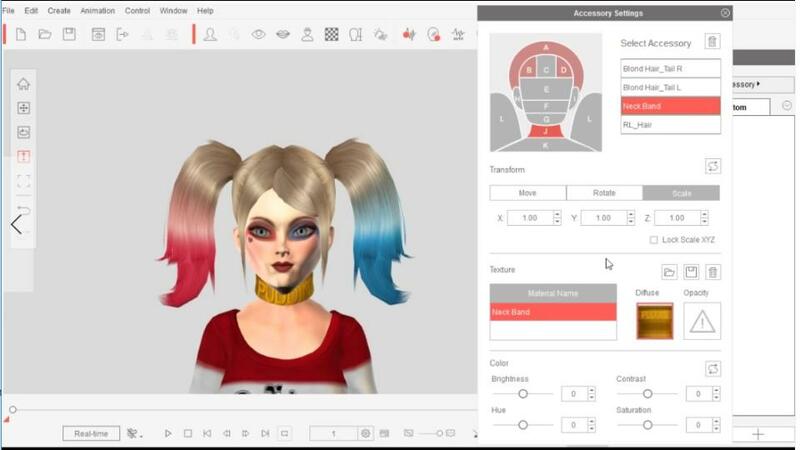 Besides continuing on the effort in creating talking avatar, talking pet and 3D head, this time CrazyTalk V8.1 also brings VividEye, neck and head adjustment alone with a large number of contents to create a carnival. 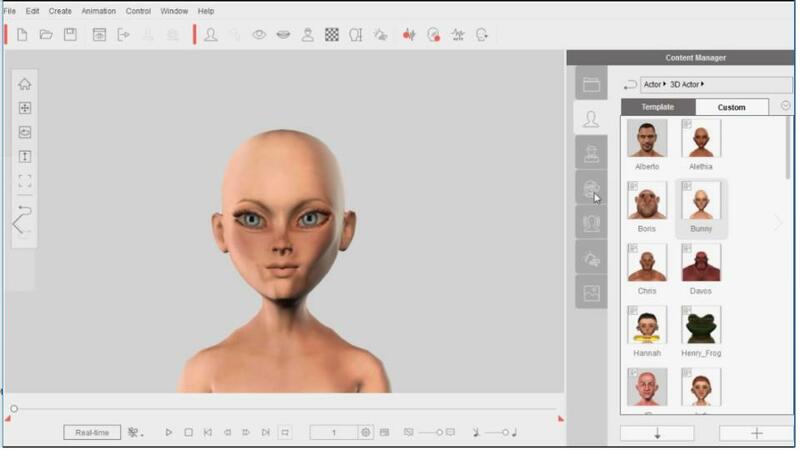 Furthermore, CrazyTalk V8.1 is also connected with the 3D tools of Reallusion family, such as iClone 6 and Content Creator. To learn more about these features, please see the update webpage HERE. 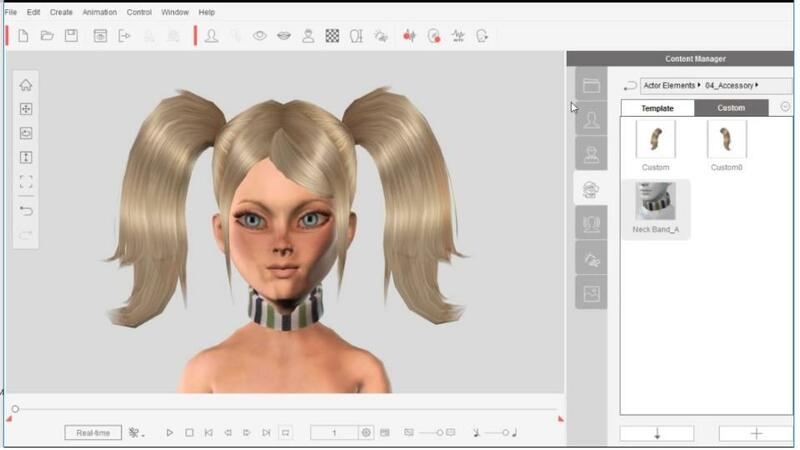 For CrazyTalk Standard and Pro version users, though you do not have the pipeline to import 3D contents from iClone, you can purchase contents HERE with an much favored CrazyTalk content price. Thumbnail in the Content manager will now include a new icon to indicate that the actor was imported from iClone 6. Scroll down to see detail. Select one eye texture when exporting the RL Head file. Click HERE for detail. 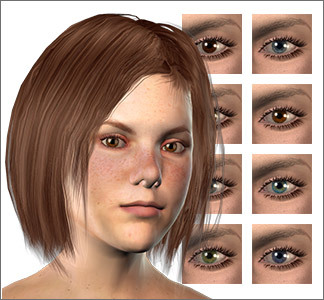 Brand new 3D vivid eye templates: 5 layers adjustment in eye settings greatly increase the realism of 3D virtual eyes. Neck Size and Length Adjustment: bring tenderness to females, masculinity to men, or long neck for cartoon characters in Head Size Settings. New Material Settings: adjusting the specular, glossiness and self-illumination of 3D actors. The 3D head shape in the Select 3D Face Profile Panel was improved. Conforming Clothes to Any Body Shape: all cloth can now automatically fit to any body shapes. Applying Cloth or the Whole Body: when applying styles, retain the original body shape or replace the whole body with dress can be chosen. Export popVideo format: instantly turn videos and image sequence into crisp, transparent videos. To know about popVideo, click HERE. 3D Camera Lens (80mm and 200mm) in Preference window. Content from CT 8.1, Slacker, is a Free Character with Hilarious Facial Expression. 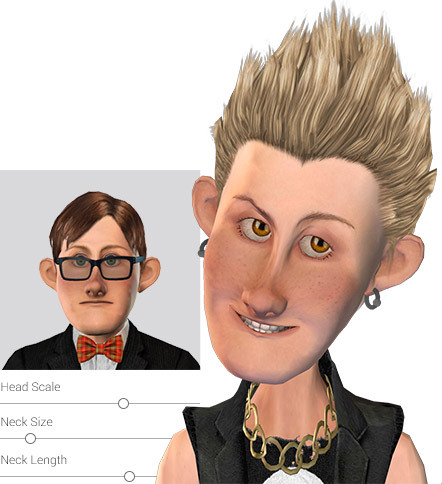 Download Slacker HERE and see how fun it is to animate this unique character. Animate, and dress him with various outfits styles! You can see how different styles are suitable with Slacker's exaggerated cartoon features. This illustrates how much fun Slacker and the new contents of CT 8.1 can be. Cloth can fit to characters with different body shapes. The conforming cloth capability of CrazyTalk 8.1, allows cloth to automatically fit to any body shapes. You can then refine scale to fit cloth to characters perfectly. Neck Size and Length can be adjusted to your desire. With CrazyTalk 8.1, users can access the crucial neck setting that will allow them to scale and adjust neck length. After CrazyTalk 8.1, the eye library has been enhanced with the latest Vivid Eye technology. 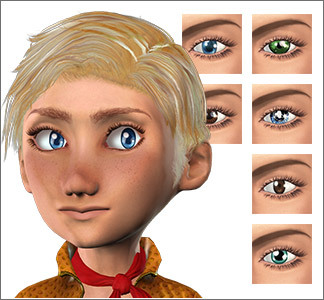 Choose from the extensive eye library for real-human, comic, anime, or monster to match any actor styles. All Vivid Eyes comes with their unique eye layers for further adjustments. 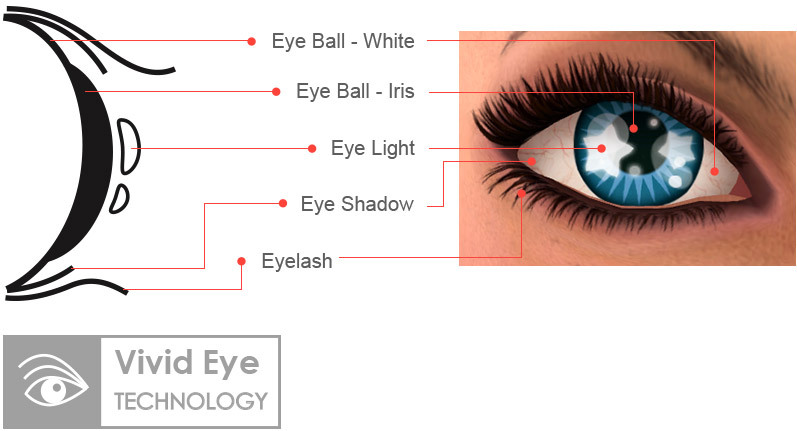 The new 3D Vivid Eye Technology with 5 Layers (Eyeball - Iris, Eyeball - White, Eye Light, Eye Shadow, Eyelash) in the Vivid Eye Settings greatly increase the realism of 3D virtual eyes. 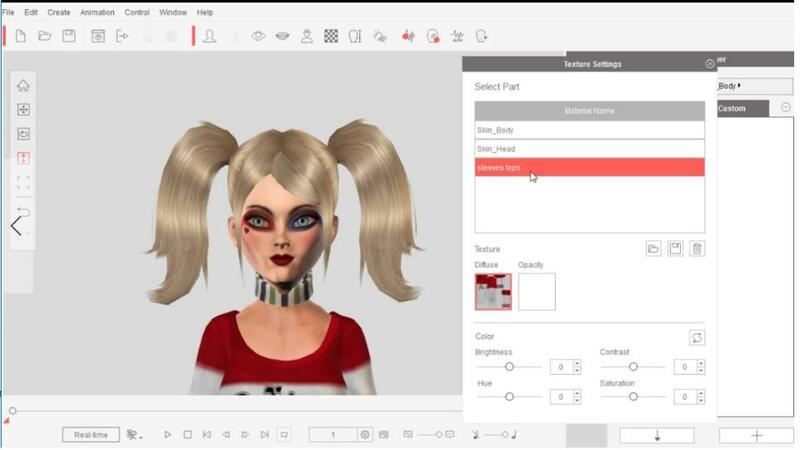 It also allows you to import custom textures for each layer, to create your unique eye styles. Thumbnail in the Content manager will now include a new icon to indicate that the chracter was imported from iClone 6. 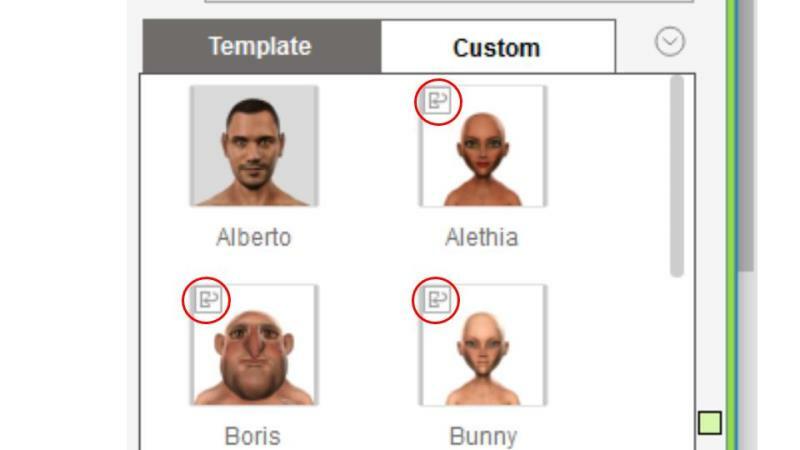 Imported characters will have accessories removed because the methodology of attaching contents to characters are different between CT 8.1 and IC 6. 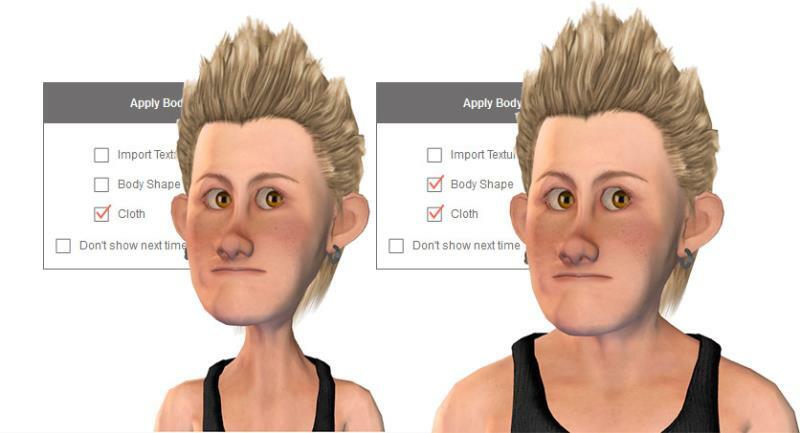 Since CT 8.1 pipeline version can import iAvatar, iAccessory, and iHair from iClone 6 and Content Creator. It creates a lot freedom in forming a new character from scratch or content. All Reallusion 3D tools are working seamlessly together. It is all connected. Can you tell who this girl is?? From this to this in 2 minutes. Thank you Reallusion for this awesome update ,especially pop-video out. 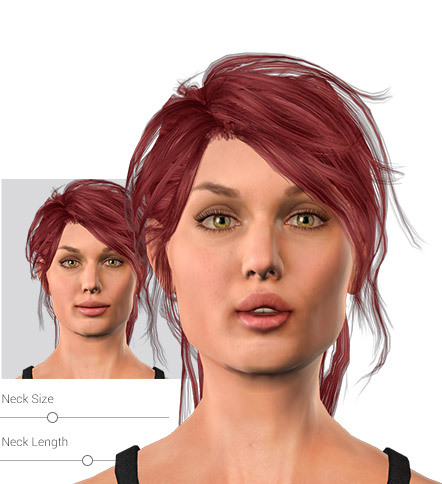 and so.. to create a face in CT8.1 to use in CC. I have to have the pipeline. is this correct? 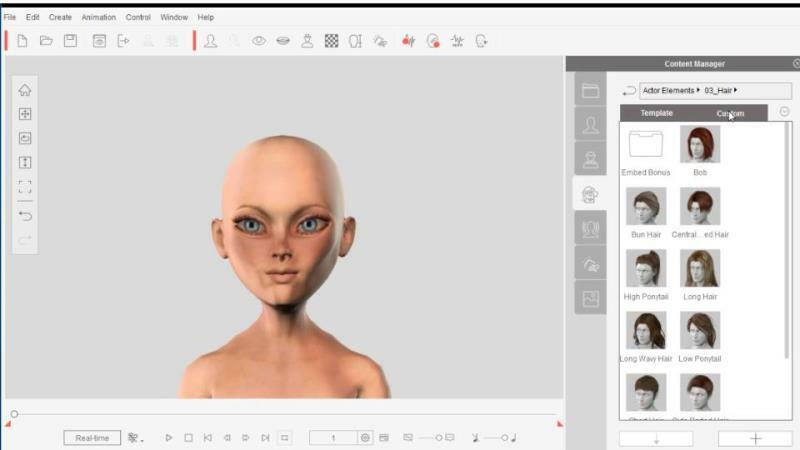 Yes you will need CrazyTalk 8 Pipeline to export heads to Character Creator or iClone 6.